Karen Hunter Quartz directs the UCLA Center for Community Schooling and is a faculty member in the UCLA Graduate School of Education & Information Studies. She received her BA from Huron College, an MA in Philosophy from the University of Western Ontario, and her PhD in Education from UCLA. Her research, teaching, and service focus on community school development, teacher autonomy and retention, and educational reform. Professor Quartz led the design team in 2007 to create the UCLA Community School and served in 2017 on the design team for a second site, the Mann UCLA Community School, both within the Los Angeles Unified School District. She currently oversees a portfolio of research-practice partnerships at both schools designed to advance democracy, inquiry, and change. 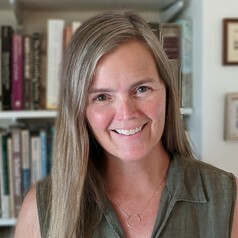 She is recipient of the 2001 Outstanding Book Award from the American Educational Research Association for her co-authored book, Becoming Good American Schools: The Struggle for Civic Virtue in Education Reform, the 2004 Outstanding Writing Award from the American Association of Colleges of Teacher Education, and the 2017 National Teacher-Powered Schools Initiative’s Advancement in Research Award.